We have a friend that is serving in the army in Afghanistan. We recently received a message from his wife that they are in need of socks over there. Unfortunately, the Afghani soldiers there dig through dumpsters to find old socks to use. If we send the socks to our friend, he will gladly pass them out to those in need. We are putting together packages to send to him and his company. 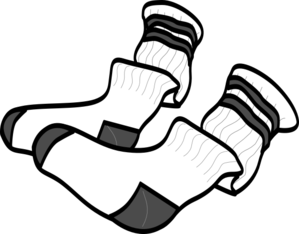 If you would like to donate socks, or any other item, it is gladly appreciated and we will see that they receive it. You can drop the items off to me (if you know where I live), or to Gines Auto Service in Kearns, UT. Gines Auto Service has even offered to pay for the shipping to send the items, so when you drop off your items, make sure to give them a big thank you! Their business hours are 8am to 6pm Monday through Friday. If you want to donate but do not want to have to drop the items off, you can donate money and we will buy socks to send with that money. We will also send you a receipt of socks and items purchased for the soldiers as proof that your money is being spent for the soldiers. Just leave us your email address with your payment and we will email you a copy of the receipt. If you absolutely cannot donate, even a letter to the soldiers over there is greatly appreciated. You can fax it to me at (801) 679-4744 or drop it off at Gines Auto Service. Our other friend that has since returned home also really liked getting soup mixes, oatmeal packets, hot chocolate.....anything he could add hot water to and eat. 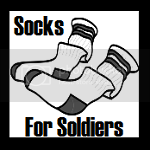 If you have any questions on "Socks For Soldiers", please email me at michelle@enjoyutah.org. Thank you so much for helping out our soldiers so far away from home!